Eschew the tourist crowds and head to Defence of Darwin Experience and Darwin Aviation Museum. Spend the 21st (Wed) wandering through the wild on a nature and wildlife tour. Next up on the itinerary: cool off at Wave Lagoon, take a tour by water with Boat Tours & Water Sports, look for gifts at Embella Jewellery, and tour the water at your own pace with Offshore Boats. To find other places to visit, where to stay, photos, and tourist information, refer to the Darwin trip planner . Zurich, Switzerland to Darwin is an approximately 26-hour flight. You can also do a combination of train and flight; or do a combination of train, bus, and flight. The time zone changes from Central European Time (CET) to Australian Central Standard Time (Northern Territory) (ACST), which is usually an 8 hour difference. Traveling from Zurich in November, things will get much hotter in Darwin: highs are around 39°C and lows about 28°C. Cap off your sightseeing on the 22nd (Thu) early enough to travel to Alice Springs. You'll discover tucked-away gems like Walking tours and Alice Springs Desert Park. There's much more to do: steep yourself in history at Alice Springs Telegraph Station Historical Reserve, explore the striking landscape at The Emily and Jessie Gaps Nature Park, take in the exciting artwork at Talapi, and take some stellar pictures from Anzac Hill. To see traveler tips, other places to visit, reviews, and tourist information, read Alice Springs trip planning website . Fly from Darwin to Alice Springs in 5.5 hours. Alternatively, you can drive; or take a bus. Traveling from Darwin in November, expect little chillier with lows of 21°C in Alice Springs. Finish up your sightseeing early on the 25th (Sun) so you can travel to Adelaide. Eschew the tourist crowds and head to Adelaide Central Market and Adelaide Oval. 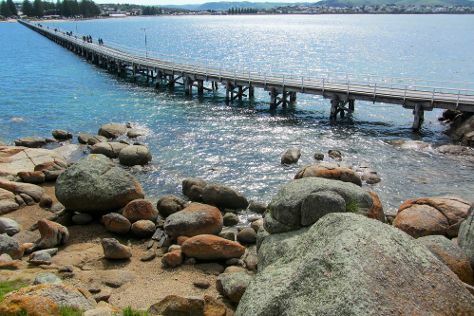 You'll find plenty of places to visit near Adelaide: Horseshoe Bay (in Port Elliot), Minlaton (Captain Harry Butler Memorial & Walk the Yorke) and Victor Harbor (Kaiki Walk - Granite Island, Granite Island, & more). 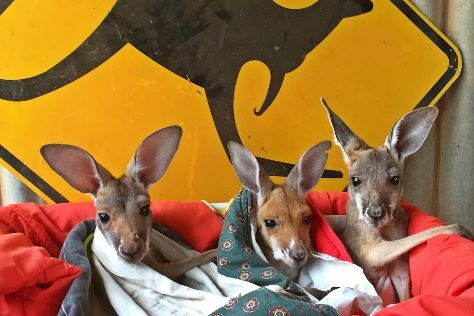 It doesn't end there: meet the residents at Adelaide Zoo and kick back and relax at West Beach. For ratings, maps, and tourist information, use the Adelaide day trip planner . Traveling by flight from Alice Springs to Adelaide takes 4.5 hours. Alternatively, you can drive; or take a bus. Traveling from Alice Springs in November, expect Adelaide to be slightly colder, temps between 28°C and 15°C. Finish your sightseeing early on the 29th (Thu) so you can travel to Melbourne. You'll discover tucked-away gems like Spas & Wellness and State Library of Victoria. Dedicate the 1st (Sat) to wine at some of the top wineries in the area. There's lots more to do: take in nature's colorful creations at Royal Botanic Gardens, admire nature's wide array of creatures at Melbourne Zoo, see the interesting displays at Melbourne Museum, and soar above the sights with a balloon tour. To see reviews, other places to visit, photos, and other tourist information, read our Melbourne travel route planner . You can fly from Adelaide to Melbourne in 3.5 hours. Other options are to drive; or take a train. Plan for a bit cooler nights when traveling from Adelaide in November since evenings lows in Melbourne dip to 11°C. Wrap up your sightseeing on the 3rd (Mon) early enough to travel to Canberra. 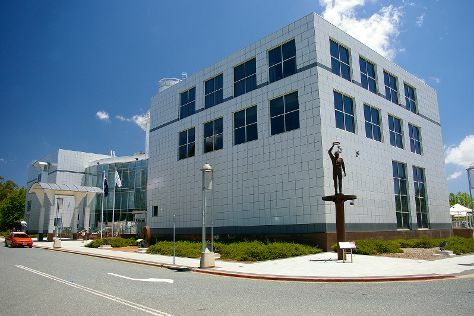 Eschew the tourist crowds and head to Questacon and National Portrait Gallery. There's still lots to do: explore the world behind art at National Gallery of Australia, ponder the world of politics at Royal Australian Mint, appreciate the history behind Australian Vietnam Forces National Memorial, and make a trip to Mount Ainslie Lookout. To see other places to visit, more things to do, maps, and more tourist information, you can read our Canberra tour itinerary planner. You can fly from Melbourne to Canberra in 3.5 hours. Alternatively, you can drive; or take a bus. In December in Canberra, expect temperatures between 32°C during the day and 14°C at night. Finish your sightseeing early on the 6th (Thu) to allow enough time to drive to Sydney. You'll discover tucked-away gems like Jenolan Caves and The Nook. Go for a jaunt from Sydney to Katoomba to see Echo Point Lookout about 1h 40 min away. 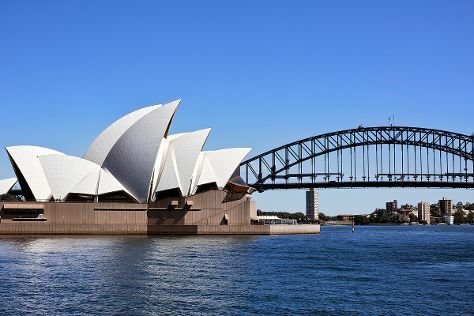 Next up on the itinerary: catch a live performance at Sydney Opera House, appreciate the history behind Mrs Macquarie's Chair, take a stroll through Darling Harbour, and take in nature's colorful creations at Chinese Garden of Friendship. To find reviews, maps, and other tourist information, go to the Sydney tour itinerary planning website . Getting from Canberra to Sydney by car takes about 3.5 hours. Other options: fly; or take a bus. Traveling from Canberra in December, plan for somewhat warmer nights in Sydney, with lows around 21°C. Wrap up your sightseeing on the 10th (Mon) to allow time to travel to Byron Bay. 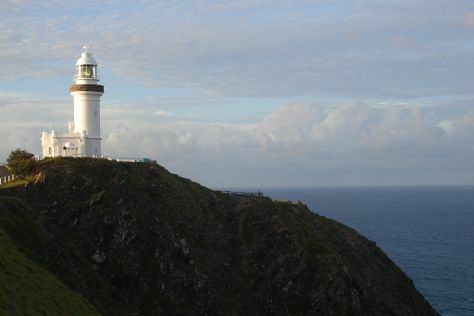 Step off the beaten path and head to Cape Byron Walking Track and Currumbin Wildlife Sanctuary. Step out of Byron Bay with an excursion to Coolangatta Beach in Coolangatta--about 1h 10 min away. There's still lots to do: kick back and relax at Burleigh Heads Beach, soothe aching muscles at some of the top local wellness centers, stroll through Wategos Beach, and get lost in a book at The Byron Bay Book Exchange. For where to stay, more things to do, and more tourist information, you can read our Byron Bay trip itinerary tool . Do a combination of flight and bus from Sydney to Byron Bay in 4.5 hours. Alternatively, you can drive; or do a combination of train and bus. December in Byron Bay sees daily highs of 34°C and lows of 20°C at night. Finish up your sightseeing early on the 13th (Thu) so you can go by car to Noosa. 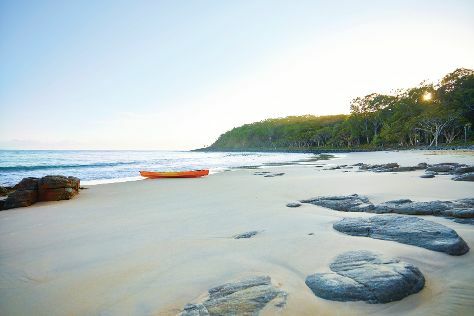 Step off the beaten path and head to Noosa National Park and Noosa Main Beach. Venture out of the city with trips to Kings Beach (in Caloundra), Lows Lookout (in Coolum Beach) and Mooloolaba Beach (in Mooloolaba). And it doesn't end there: take in nature's colorful creations at Maleny Botanic Gardens & Bird World, look for gifts at The Real McCaul, and view the masterpieces at Artworks in Clay by Anne Gentry-Smith. For photos, traveler tips, ratings, and other tourist information, refer to the Noosa travel itinerary planner . Traveling by car from Byron Bay to Noosa takes 4 hours. Alternatively, you can do a combination of bus and train; or take a bus. Wrap up your sightseeing on the 16th (Sun) early enough to drive to Brisbane. Discover out-of-the-way places like Roma Street Parkland and City Botanic Gardens. Next up on the itinerary: admire the natural beauty at Brisbane Botanic Gardens Mt. Coot-tha, let little ones run wild at South Bank Parklands, identify plant and animal life at Lone Pine Koala Sanctuary, and take a leisurely stroll along Eagle Street Pier. To see ratings, maps, where to stay, and tourist information, you can read our Brisbane trip website . You can drive from Noosa to Brisbane in 2 hours. Other options are to take a train; or take a bus. In December, plan for daily highs up to 32°C, and evening lows to 23°C. Finish your sightseeing early on the 19th (Wed) to allow enough time to travel to Townsville. Explore hidden gems such as The Strand and Jezzine Barracks. Take a break from Townsville with a short trip to Alligator Falls Track in Alligator Creek, about 38 minutes away. Next up on the itinerary: go for a walk through Castle Hill, identify plant and animal life at Billabong Sanctuary, delve into the lush surroundings at Gondwana Rainforest, and view the masterpieces at The Drill Hall Studio. For ratings, reviews, traveler tips, and other tourist information, read our Townsville trip itinerary maker . You can fly from Brisbane to Townsville in 4.5 hours. Other options are to take a train; or drive. Plan for somewhat warmer temperatures traveling from Brisbane in December, with highs in Townsville at 37°C and lows at 28°C. Wrap up your sightseeing on the 22nd (Sat) early enough to travel to Cairns. Discover out-of-the-way places like Botanical Gardens and Wildlife Habitat Port Douglas. Explore Cairns' surroundings by going to Palm Cove Beach (in Palm Cove), Paronella Park (in Mena Creek) and Australian Butterfly Sanctuary (in Kuranda). Spend the 23rd (Sun) among aquatic life with a scuba or snorkeling tour. Spend the 29th (Sat) exploring nature at Daintree National Park. There's lots more to do: look for all kinds of wild species at Mossman Gorge, tour the pleasant surroundings at Trinity Beach, soothe aching muscles at some of the top local wellness centers, and take an unforgettable tour with a helicopter tour. To see where to stay, ratings, photos, and tourist information, read our Cairns trip planner . Traveling by flight from Townsville to Cairns takes 3.5 hours. Alternatively, you can drive; or take a bus. In December in Cairns, expect temperatures between 36°C during the day and 26°C at night. Cap off your sightseeing on the 30th (Sun) early enough to travel back home.